Just look for the Giant Ball! Call today and talk to our friendly, professional staff! 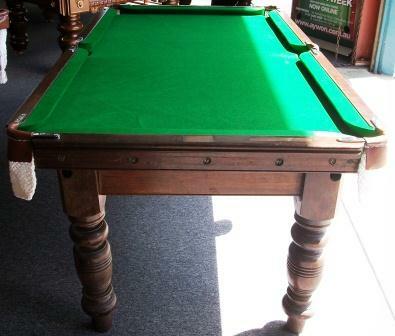 With over 25 years experience Aywon Billiards have sold & refurbished 1000's of tables. 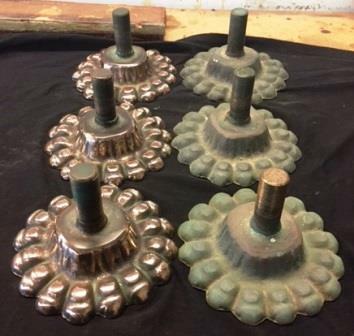 Check out some of our "Before and after" shots of the tables we have refurbished and some unique requests from customers that wanted something a little bit different!!!! 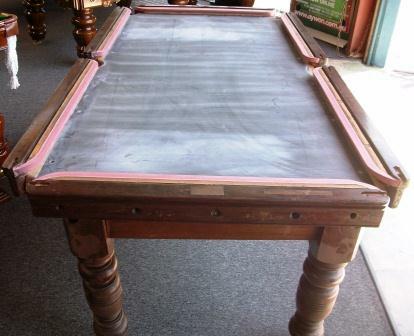 Show your support of your favourite NRL or AFL Team by reclothing your table with their team name & colours! 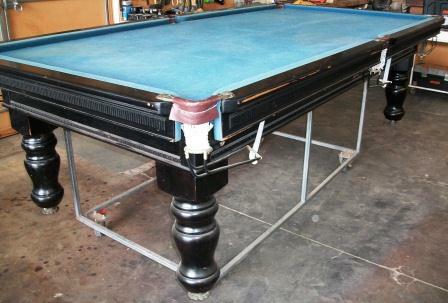 Refurbishing a Billiard Table takes experience and knowledge. 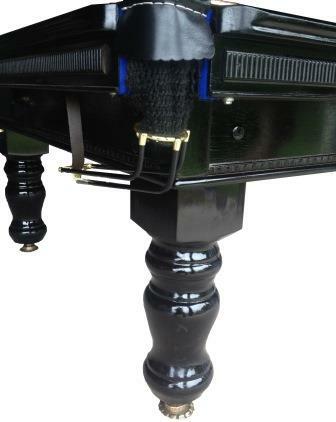 Our clients are always satisfied with the final results! 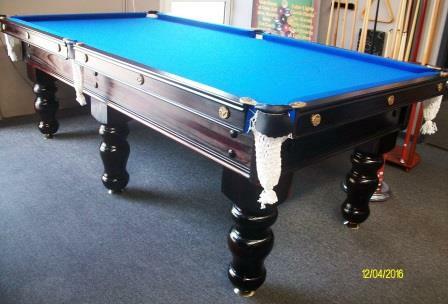 For more information about refurbishing your table please give us a call for a no obligation quote. 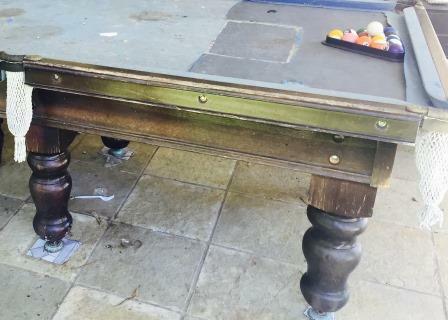 Here are some "Before" & "After" photos of tables we have refurbished.